If you’re caught in the kitchen today or tomorrow, pulling your hair out and wishing you had professional help on hand (or at the very least, on speed-dial), here’s the next best thing: a list of holiday cooking hot-lines and Web sites. Eat well, travel safe, have fun and thanks, as always, for being here. 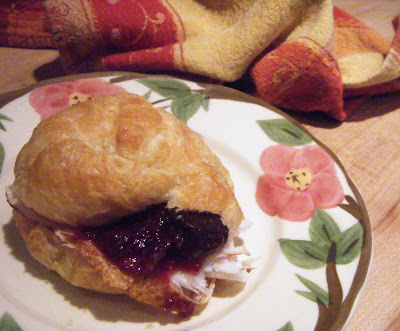 On a roll, already: TJ’s croissant with sliced turkey and homemade cranberry sauce.